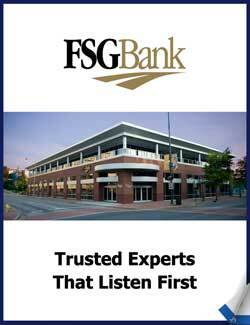 Commitment to community is a professional necessity at FSG Bank. FSG executives, when not tending to in-bank needs, are just as often found in service on boards of directors and with volunteer organizations ranging from chambers of commerce to the United Way. And because so many of the leadership personnel are new to the bank’s headquarters home turf in and around Chattanooga, Tenn., getting out serves more than just a superficial purpose. It’s the day-to-day groundwork for a business that thrives on relationships. FSG is the only publicly-traded financial institution of its size in the region, which gives it a scope comparable to large entities in other major metropolitan centers while it retains the person-centric approach Kramer mandates, which is typically found among much smaller competitors. Both elements have helped the bank regain momentum following a tumultuous stretch during the economic downturn, which saw FSG’s parent company – First Security Inc. – lose $35.4 million in 2009, $46.4 million in 2010 and $25.1 million in 2011. Kramer was hired in December 2011 to replace founding CEO Rodger Holley. The subsequent growth strategy, Kramer said, has not been based on quick recuperation, but rather a steadying long-range plan that looks five and 10 years into the bank’s future. 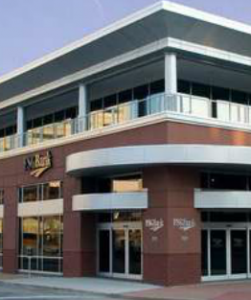 The bank was initially incorporated in 1999 when First Security acted in what it viewed as a market looking for community banking services from an entity that was locally based, rather than headquartered far from the East Tennessee/North Georgia environment. More than 30 branches were opened and business was good until the aforementioned struggles arrived – thanks largely to a heavy lean toward real estate loans in what became a historically bad market – complete with scrutiny from regulators and a relegation to receivership status. Kramer was brought on after a national CEO search and brought with him the new collection of executives with a stated intention to wipe the slate clean and start anew. “This is a turnaround,” he said. “The management team is new, the board is new. We’ve put in place everything necessary to complete cleaning-up the asset quality issues that were a byproduct of the economic downturn. We’ve been engaged in raising capital, have added new products and services, but more than anything, we’ve created a culture of accountability. Success arrived when the bank’s course was returned to the one set by the initial mission statement. The new FSG aims to effectively deploy capital and make credit available to better the functioning of business, which, in turn, helps provide a prosperous community and enhanced quality of life for locals.